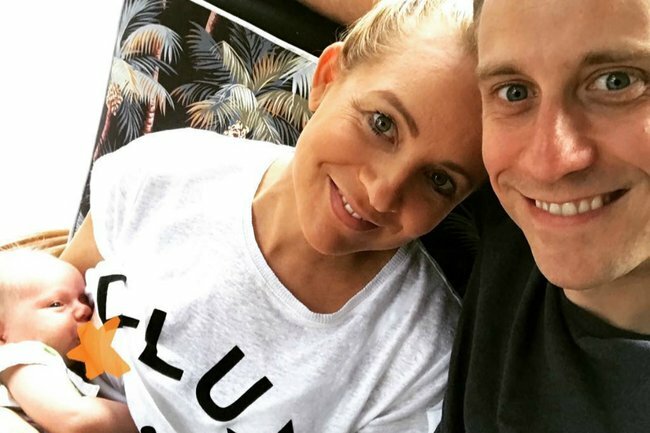 Carrie Bickmore shares truth of first four weeks with a new baby. Carrie Bickmore's brutally honest description of the first few weeks with a new baby. A glowing Carrie Bickmore, cradling her newborn daughter, leaning in to her beaming partner. It looks like the kind of blissed-out baby picture we’ve seen time and time again in our Instagram feeds. But then there’s The Project host’s caption, and with it a reminder that beyond the artifice lies the messy, conflicted, exhausting truth of new parenthood. Carrie shared the post to her page on Tuesday, to mark one month since her third child, Adelaide, came into the world. “1 MONTH OLD TODAY,” she wrote. The glimpse into those first four weeks struck a chord with Carrie’s followers. 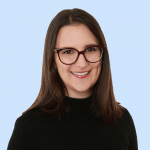 More than 55,000 people reacted to the sentiment, among them a few famous names, including television sports presenter Erin Molan, former Today presenter Sylvia Jeffreys, and celebrity trainer Tiffany Hall. Australian model Megan Gale, who gave birth to her second child in October 2017, added, “Hang in there Mama Bear.. you’ve done this.. you’ve GOT this. Carrie and her partner, Chris Walker, also have a three-year-old girl, Evie, and Carrie has an 11-year-old son, Oliver, from her marriage to Greg Lange, who tragically died of brain cancer in December 2010. The couple announced the impending arrival of little ‘Addie’ in June via an Instagram video, in which they broke the news to their two their eldest. “Hey some exciting news to share with you. We are having a BABY. How funny is Evie asking if it’s twins. No honey it’s not twins!” the video was captioned. In the months since, Carrie has been admirably open and honest about the “hell-like” pregnancy period and those difficult weeks post-partum. She recently posted in praise of Chris and other loved ones who have supported her through it all.